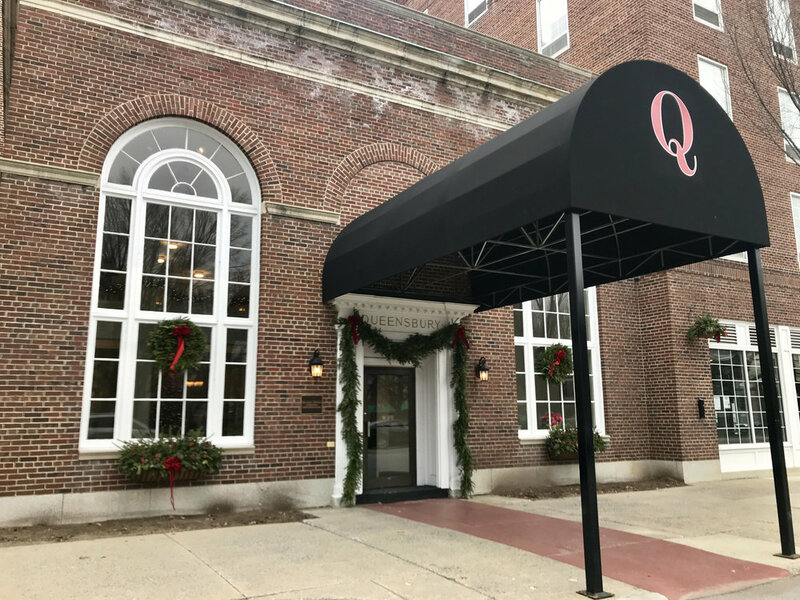 I was recently invited to stay at the newly restored Queensbury Inn, located in historic Glens Falls, New York. Growing up around the corner from this quaint town in Upstate New York, the Queensbury Inn holds a special place in my heart. I went there as a child with my grandparents and family so I was especially thrilled to visit the beautifully restored hotel. Its gorgeous lobby is complete with the most elegant moldings, chandeliers, and period details. They managed to update the guest rooms to feel fresh and chic while still maintaining the historic and quaint ambiance. It’s definitely not any easy feat, yet the Queensbury Inn succeeding in doing just that. The amenities, including a pool, pub, restaurant, and the front desk’s impeccable service, will definitely have my family and I returning many more times. We have wine tasted all over the world, from Napa Valley, France, Italy, Greece, the Finger Lakes, and beyond. I love tasting wines from all over, better understanding the “terroir’s” unique importance on the taste of the wine, the unique grapes from each region, the wine making process, food pairings, and of course the deliciousness. I love all wine, from a hearty red in the Autumn and Winter, a cold rosé in the Summer’s high heat, Bellinis at brunch with the freshest peach puree made with sun ripened peaches freshly picked in our backyard orchard, celebratory Champagne, which at my age, no longer calls for a “special occasion”. Every single day is a gift and special occasion. All the various wines, hold a special place in my heart with memories of where we had them and who we were with. 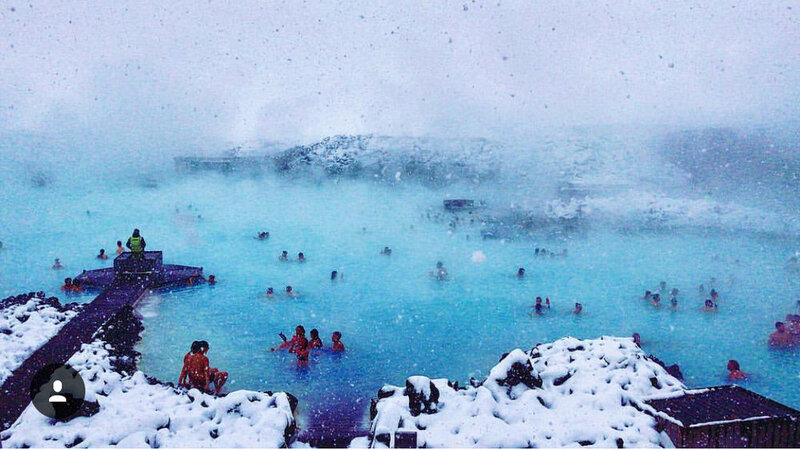 I have always wanted to travel to Iceland and I counted the days until our plane took off for Reykjavik in April. It was everything I thought it would be and more. We arrived on a very snowy early morning, so snowy in fact that our plane was rerouted to the opposite end of the island. According to the map it seemed as if we flew up over the arctic circle before touching down safely. While some on the plane seemed annoyed by the delay, I thought it made the adventure even more exciting! I had now been on both ends of Iceland, how exciting is that! The plane was refueled and we landed safely in Reykjavik. The snow had slowed to a flurry and our smiling driver Jon met us in a snow friendly Mercedes truck and whisked us off to town. Easter and Cherry Blossoms In Washington, D.C.
Springtime in Washington, D.C. is glorious, surrounded by the heavenly scent of cherry blossoms that perfume the air, with views of national landmarks, the Tidal Basin, and much more. If you are looking for a quick getaway over Easter break, especially if you are in the states on the east coast, then Washington, D.C. is the perfect place. It is a very doable road trip. If you are not nearby, then I highly recommend planning a once in a lifetime trip to the Nation’s Capital. You might get very lucky and see the cherry blossoms in bloom while you are there. You can track their progress and estimated bloom time here cherryblosomwatch.com. The Yoshino cherry blossom is the first to bloom, which is the grand dame of the festivities. They are followed by the Kwanzan, which typically bloom approximately 10-14 after the Yoshinos. Saratoga Springs in upstate New York is a delightful Victorian town with a vibrant social scene. Located only 3 hours north of New York City, an easy train ride away, 25 minutes from Albany, about an hour from southern Vermont, and only a few hours from Montreal, Canada. It has an eclectic art scene with a variety of shops, gourmet restaurants, and European-style patisseries. There are many bars where you can dance the night away. The art and culture scene is also spectacular: the New York City Ballet takes residence here each July at SPAC, there are music concerts, plays, jazz bands, and much more. Spend a day at the historic racetrack, have dinner at Lake Local, and watch the sunset over the water. With Lake George nearby, as well as the states capital, ski mountains in Vermont and much more, you are guaranteed a wonderful getaway all year round. Brooklyn's iconic waterfront has the most unsurpassed views of the Brooklyn Bridge, Empire State Building, Freedom Tower, and The Statue of Liberty. Old fashioned yet chic and trendy, Dumbo's (District Under the Manhattan Bridge Overpass) plentiful boutique shops, fine dining, and art scene bring together the most spectacular melting pot of culture. I'm wearing Teggy French (@teggyfrench) Cafan pictured above. Ride the historic carousel while wandering along the quaint cobblestone streets or enjoy New York's finest pizza as you take in the waterfront views. 2. A window seat at The River Café for exquisite cuisine and their Brooklyn Bridge-shaped chocolate cake.